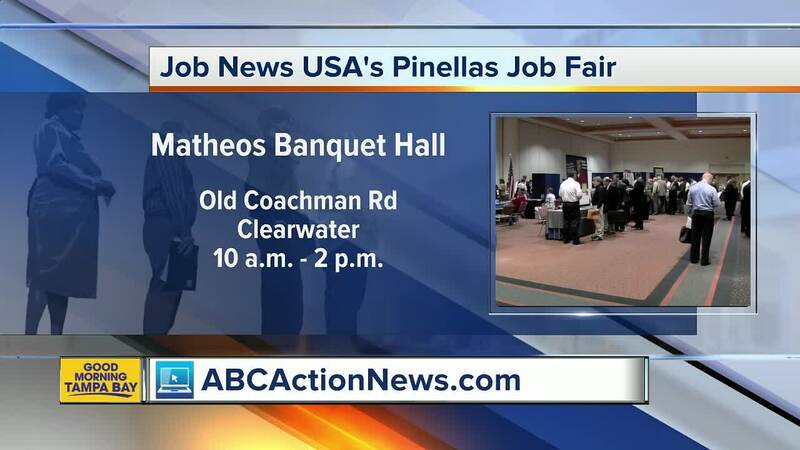 Job News USA is hosting its Pinellas County Job Fair in Clearwater on Tuesday to fill hundreds of openings. CLEARWATER, Fla. — Job News USA is hosting its Pinellas County Job Fair in Clearwater on Tuesday, January 15 to fill hundreds of openings. 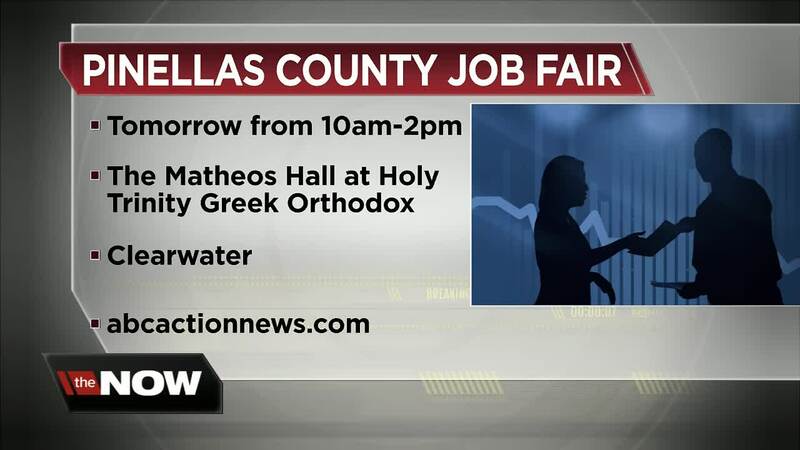 The job fair is being held from 10:00 a.m. to 2:00 p.m. at The Matheos Hall at Holy Trinity Greek Orthodox Church at 409 South Old Coachman Road in Clearwater. There are employment opportunities for people of all experience levels and skill sets. Both full- and part-time jobs are available. You can receive a free resume review at the job fair by Ultimate Staffing Services. Representatives from CareerSource Tampa Bay will be present to explain the free accelerated training and paid work opportunities in healthcare and information technology the agency offers for young adults. OneBlood will be hosting a blood drive at the job fair. Parking and admission to the event are free. For more information on specific jobs available or to pre-register for the job fair, click here .